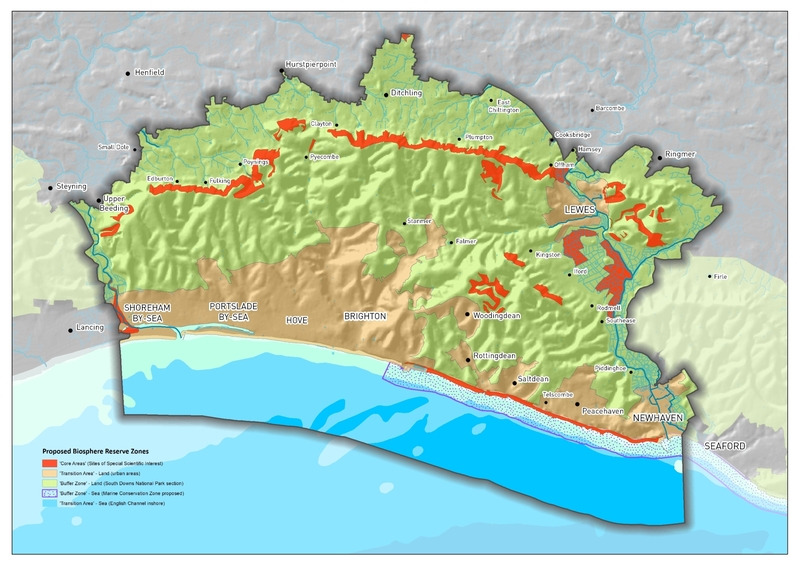 My fellow parishioners are surely proud to be living in Greater Brighton also known, since 2014, as the Brighton & Lewes Downs UNESCO World Biosphere Region. We are to be vigorously and thoughtfully reminded of this tomorrow, Sunday 1st July, by a vibrant mid-morning stream of pullulating urban visitors encased in a throbbing day-glo rainbow of hi-viz lycra. Their mission is “to connect people and nature and so inspire a positive future that benefits us all” by “combating homelessness, creating opportunities, promoting change”, “conserving and enhancing nature” and “promoting environmental knowledge, learning and awareness”. Faced with such overwhelming beneficence, our humble role, as rural laymen, is simply to smile, wave, throw rice, and accept complimentary copies of The Watchower. Yesterday saw the designation of the first new biosphere site in the UK for almost forty years and the first ever in South-East England. 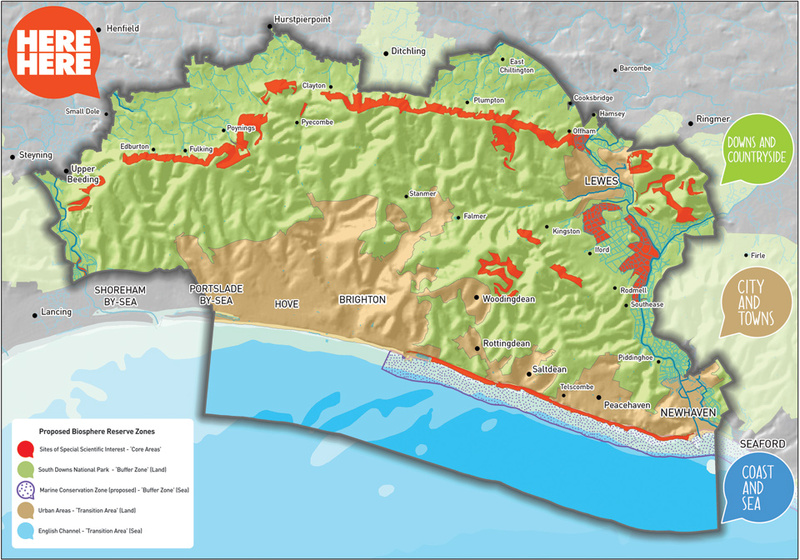 The Brighton & Lewes Downs Biosphere was awarded this designation by UNESCO at a meeting in Sweden on 11th June. It joins more than six hundred biospheres in over one hundred countries. 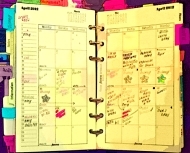 All the available new information is here and our earlier posts on the topic are here. 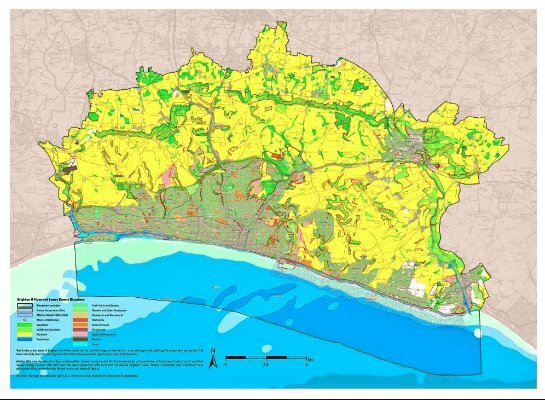 A group of approximately 40 organisations have submitted a bid to turn a large part of Sussex into a biosphere reserve. The Brighton & Hove and Lewes Downs Biosphere Partnership, which is backed by the University of Sussex, is asking Unesco to award special status to an area the size of the Isle of Wight. .. Unesco is expected to make its decision on the bid in July 2014. 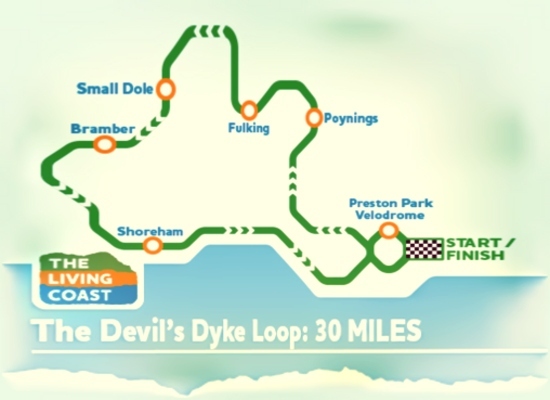 Public relations events to promote the project are to be held at Devil’s Dyke Inn on March 17 (10am to 2pm) and at Adastra Hall, Hassocks on April 5 (11am – 4.30pm).